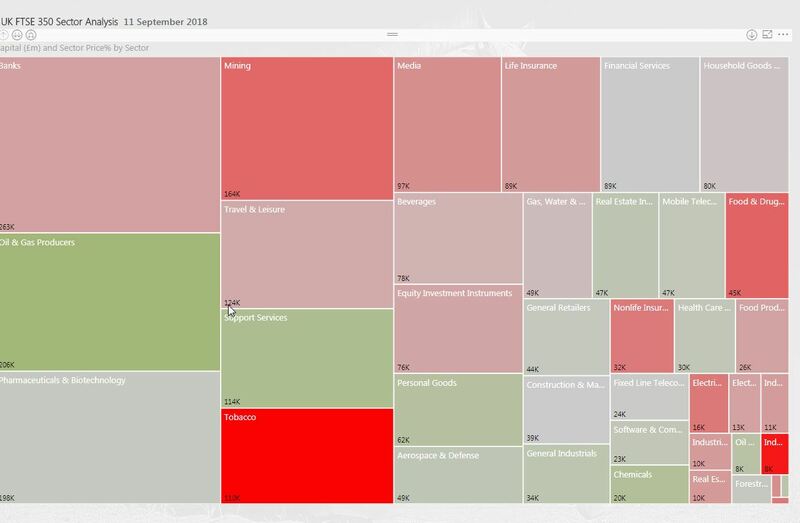 Visual analysis of all 40 sectors with drill-downs into their constituents shares. Identify bullish and bearish trends in respective sectors which informs higher probability trade prospects with alignment to the broader direction of travel. End of trading day analysis of short interest in UK shares published by the FCA. Visualisations of shorted sectors and shares identifying funds and positions. Powerful insights into potential trade prospects by following the bigger funds or watching for potential short-squeezes . provides powerful insights on market and sector correlations and trends.